At Adams Autoworx we make Castro Valley Prius service our top priority. 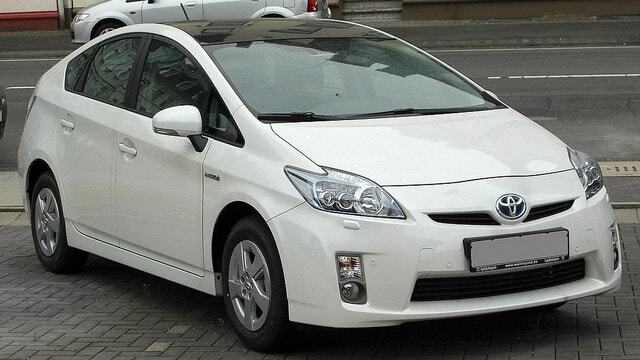 We provide you with quality Prius repairs and service that exceed those provided by dealers. First Prius was sold in the United States in the year 2000. Today they can be seen everywhere. As of 2015, over 5 million Priuses have been sold worldwide. Besides being the first bestselling hybrid car in the world, Prius has a well-deserved reputation for being a reliable and environment friendly vehicle. When serviced regularly, Prius can easily go 200,000 miles and more. However, like any vehicle, it can experience occasional problems. Priuses made in 2007 and 2008 experienced lights problems. 2010 models had excessive oil consumption – Prius in general tends to use up more oil than would be expected. It is not unusual for a Prius to consume a quart of oil during the regular 5000 mile service interval. In Castro Valley, Prius can experience accelerated tire wear – due to the hills, and also because Prius’ regenerative braking system puts additional wear on the tires. Having your Prius serviced regularly is the secret to car longevity. Our ASE certified technicians are experts at handling your Prius. So whether you drive Prius Gen 1, Gen2, Gen 3, Prius v, or Prius c, or the Prius Plug-In Hybrid, bring it to Adams Autoworx in Castro Valley – we will take good care of you. Adams Autoworx has been serving Castro Valley clients for over fifty years and 3 generations. Family owned, and value minded, we set new standard in the auto repair industry.